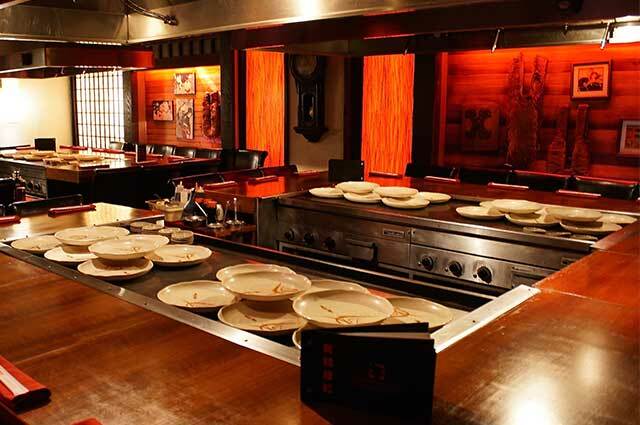 Teppanyaki is a Japanese style of cuisine where the chef cooks the food with an iron griddle. Teppanyaki literally means “grilling on an iron plate”, as the word “teppan” means iron plate and the word “yaki” means grilled. This style of cuisine is primarily used to cook ingredients like beef and chicken but is also effective at cooking seafood, dough-based food or vegetables. The history of teppanyaki has changed from simply cooking on an iron griddle to food that is skilfully prepared in restaurants. This art of cooking originated in Tokyo, Japan. The first restaurant to officially introduce the concept of teppanyaki as we know it, was the Japanese restaurant chain Misono, in Kobe, in 1945. However, this restaurant was not popular with locals as this style of cooking was deemed ‘improper’ and ‘not in good taste’. So, how did this style of cooking become so popular? It was actually the US ex-pats in Tokyo, as well as tourists, who were pleasantly intrigued by the entertainment aspect of teppanyaki. This is why teppanyaki is not always considered a ‘traditional’ Japanese dish as it is enjoyed more by Westerners than Japanese locals. Thus, Misono became famous when it began to place a larger emphasis on entertainment intertwined with dining. 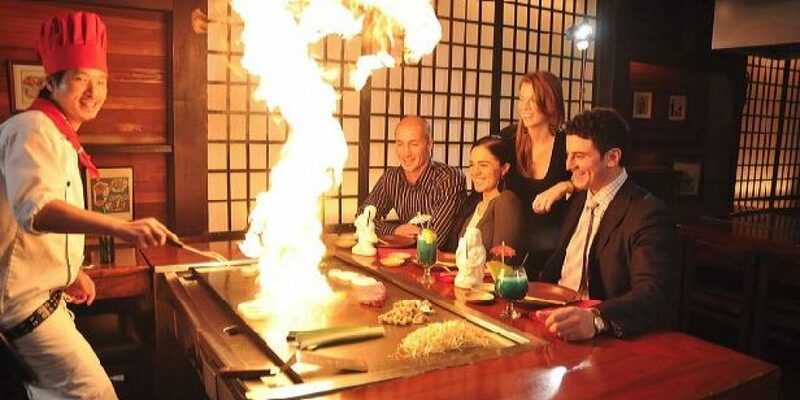 Chefs would juggle with condiments and create “flaming onion volcanoes” for the entertainment and pleasure of the customers. Some people mix up the two different types of cuisines. The easiest way to tell the two styles apart is to look at the cooking surface; unlike the iron plate used by teppanyaki chefs, Hibachi cuisine makes use of an open-grate grill. The flat griddle-style cooking surface makes it easier to cook smaller ingredients like rice or finely chopped vegetables. In fact, a lot of the signature moves done by a teppanyaki chef require a flat cooking surface to do properly. 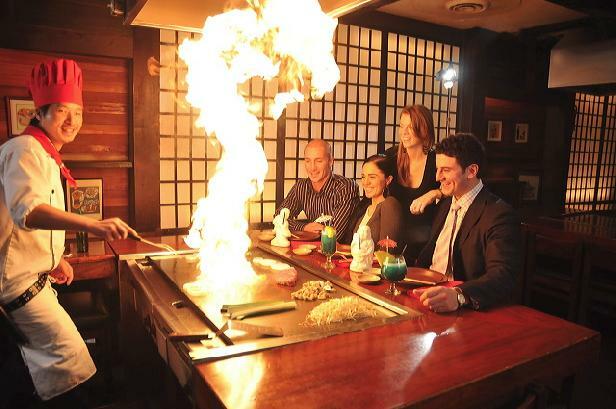 In North America, teppanyaki-style dining has become increasingly popular. Today, chefs continue to place a large emphasis on preparation and performance. Customers can sit back and watch a chef juggle utensils, toss food up in the air, catch shrimp in their mouths, and finally, enjoy the delicious food that was prepared right in front of them! 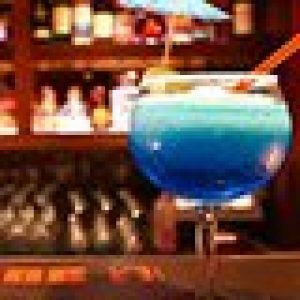 This is a unique dining experience where customers are entertained throughout the entire meal. This method of cooking usually involves cutting up the meat and vegetables into bite size pieces that are accompanied by a variety of dipping sauces. Dinning at a teppanyaki restaurant is an ongoing process as food is continually being served to guests sitting around the grill. All at the same time, the chef will be cooking while the customers are eating! 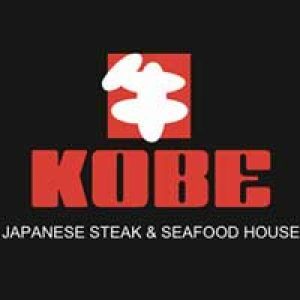 Kobe Japanese Steak and Seafood House is a restaurant that has carried on the ancient tradition of teppanyaki-hibachi style cooking. With a Japanese country-inn ambiance, customers will be able to fully experience this unique tradition! Kobe promises to deliver an unforgettable dining performance in combination with fresh, tender and flavourful food.